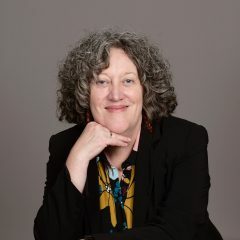 Robin most recently served as DRE at Central Unitarian Church in Paramus, New Jersey and has previously held positions as a religious educator in Sussex County and Morristown, New Jersey. She has also served on the Liberal Religious Educators Association (LREDA) Chapter Executive Committee, and is a trainer for Our Whole Lives. Robin brings both a Master of Business Administration from Lehigh University and a Master of Arts in Teaching from Fairleigh Dickinson University, along with years of teaching for non-profits and schools, including as a sexuality educator and trainer for Planned Parenthood and Fairleigh Dickinson University. Before children, Robin worked as a systems analyst. After children, she began a long journey into Unitarian Universalism through commitment to service and volunteerism. Robin brings three young adult daughters to Columbia, all of whom plan to be involved with UUCC in various ways.